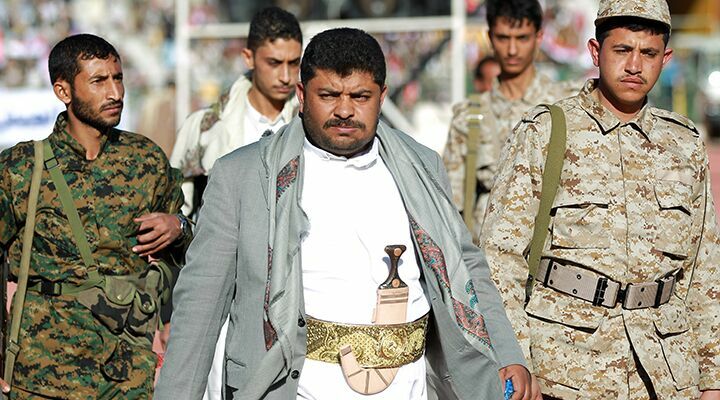 The toppling of the Yemeni government by Iranian backed Shiite Houthis has upped the ante in the regional sectarian Sunni-Shiite struggle.Yemen is perfectly set to become a sectarian war that will see millions more in foreign funds transferred to various proxy forces in the country ….Sunni states are likely to dramatically increase support for their brothers in the country, not holding back funds from jihadists and other Islamists, just as has been done in Syria.Iran and its allies in the region are not going to sit by either. Since 2009, America has been conducting an aggressive drone warfare campaign over Yemen. Unwilling to commit ground troops to fight al Qaeda, America convinced the Yemeni government to allow it to drop bombs on al Qaeda suspects. Attacks have occurred in the countryside, at isolated compounds, and on streets outside busy restaurants. International Security documented 120 attacks reported by the media. Over 800 people have been killed, including 83 civilians. The seemingly indiscriminate nature of drone warfare helped reduce support for the local government, which ruled a population that was already very anti-American. The Yemeni government took a great risk to partner with America. Yemen was supposed to be the role model for how to fight wars without having to get your hands dirty. It was supposed to work by pairing American airpower with a campaign of building local allies to fight on the ground. In Yemen, America’s ground allies lost. And then there is the question of the world superpowers, which we can expect will intervene as they have in Syria, with the U.S. increasingly favoring the Shiite axis, led by Iran, as it does not want to ruin ongoing nuclear negotiations with the country. It also seeks to use Iran to counter Sunni jihadists such as Islamic State and al Qaeda. Recent reports reveal that the U.S. is cooperating with the Houthis to target al Qaeda in the Arabian Peninsula (aqap). America working with an Iranian-backed militant group that overthrew America’s ally is shocking. America was working with the Iranian sponsored Houthis as far back as at least November, helping them in their battles—long before the Houthis overthrew the American allied government. So it appears as if the decision to let the Yemeni government fall was a strategic one. But one that will leave America’s other allies to wonder how trustworthy America is. In Yemen, America was the kind of ally you don’t want. Sadly, America will see little benefit from its loss of prestige and reputation in Yemen. The whole situation could quickly turn into a disaster—especially if America continues to support the Houthis’ war. The Houthis are pushing south and west in an effort to eliminate al Qaeda from the Red Sea/Bab el-Mandeb strait coastal area. If they gain control, the geopolitical consequences could be very far reaching. Trumpet editor in chief Gerald Flurry reported on the significance of the Houthi takeover of Yemen. The Houthis, and by extension Iran, are about to gain control over one of the world’s most strategic waterways. Gerald Flurry explains the implications on oil markets, global trade, European security and more in his latest Key of David program, “The Yemen Crisis.” You need to watch it. This situation is a theater where the Sunni-Shiite battle is being played out in the region, with the Saudis on one side and the Iranians on the other, he continued, adding that the country also is a gateway to Africa and the Islamist terror there.Iran sees itself as the rising power in the region, Rabi told the Post in December, adding that an Iranian Revolutionary Guard official was quoted as saying that the Islamic Republic of Iran now controls four Middle Eastern capitals: Sanaa, Beirut, Baghdad and Damascus.